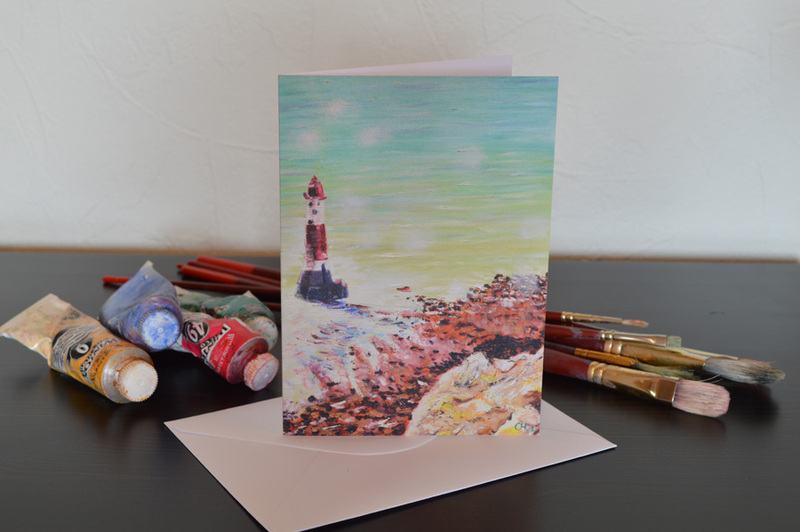 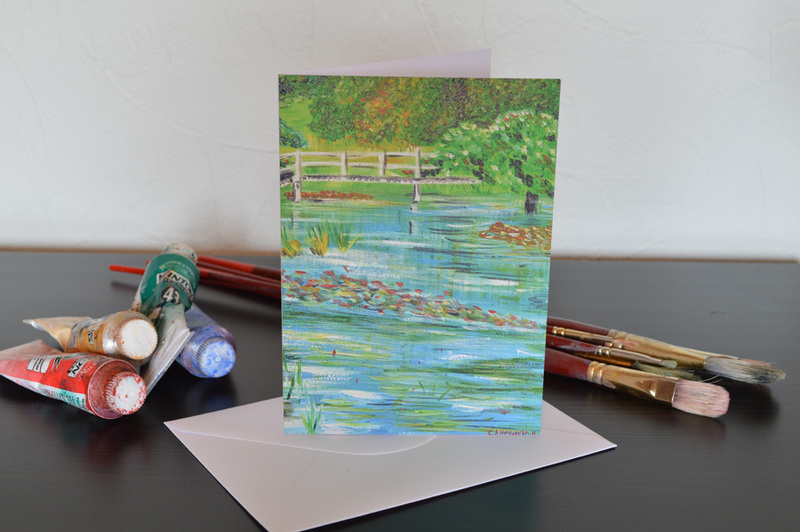 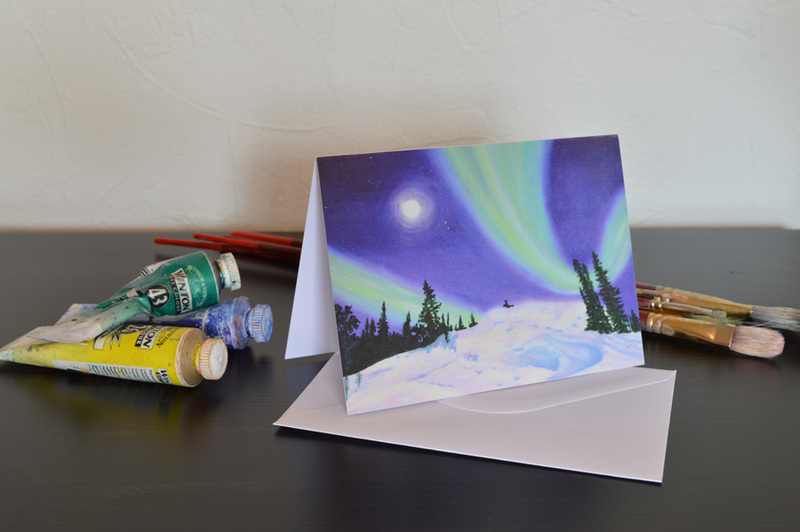 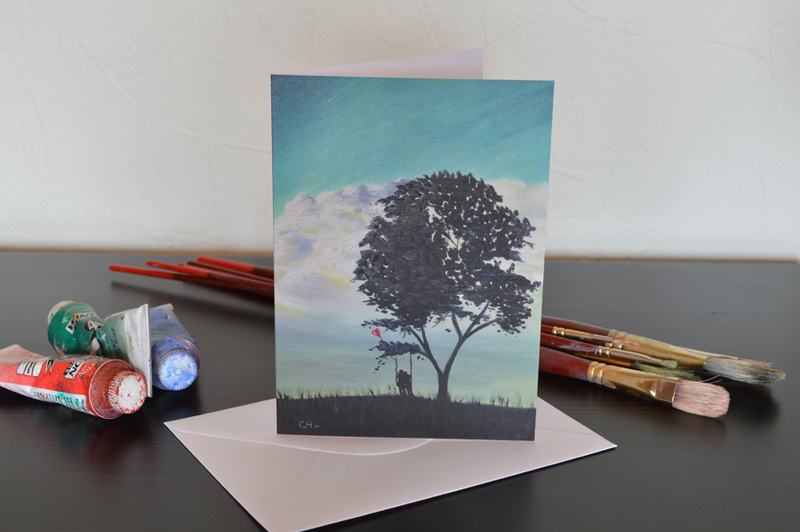 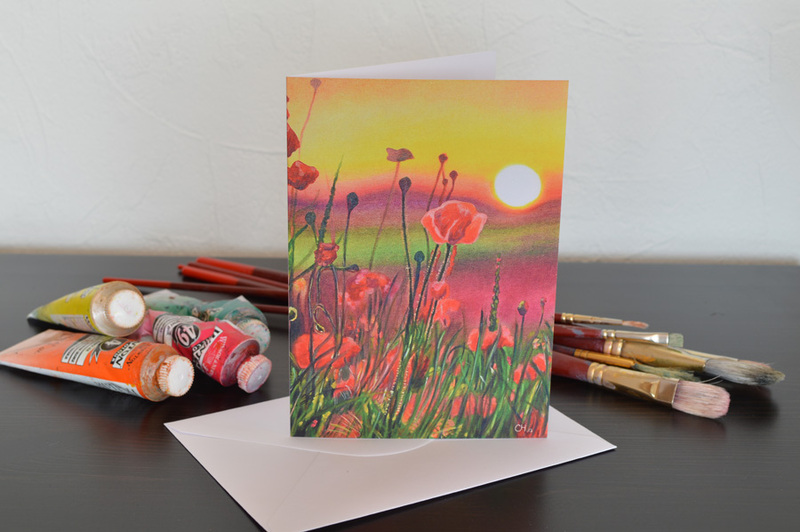 I have selection of greeting cards of my original artwork available to buy here. 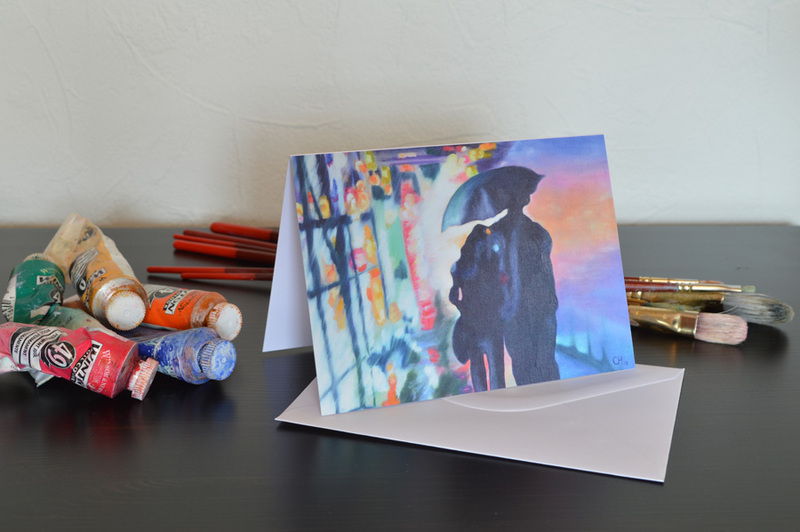 All cards are printed on a thick 340gsm card with a light satin coating on the outside, the inside is left uncoated, making it easy for you to write on. 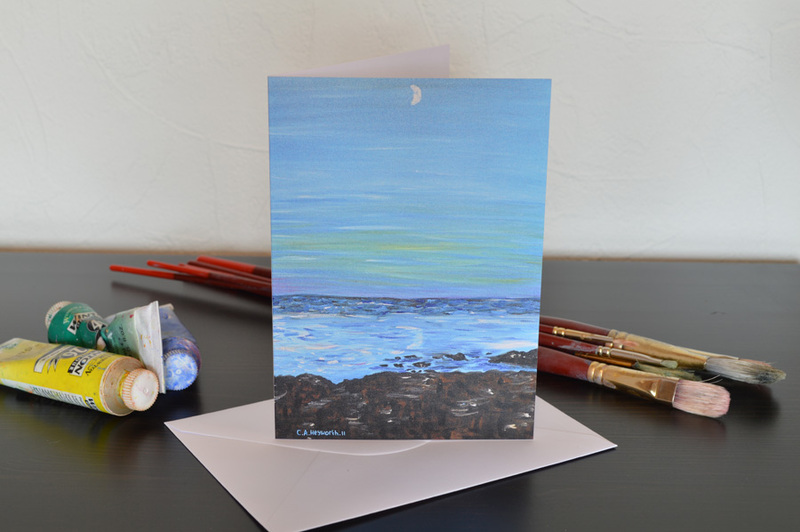 The cards are blank for your own message, come with their own envelope and are beautifully presented in a clear bag.